My name is David Hier and I am a designer and 3D visualisation artists based in the United Kingdom. David Hier: Render Studio was set up to promote my services as a visualisation artist, mostly producing 3D architectural renders and visualisations. I'm also available to work on product visualisation projects or any other design jobs that requires some kind of 3D imagery. 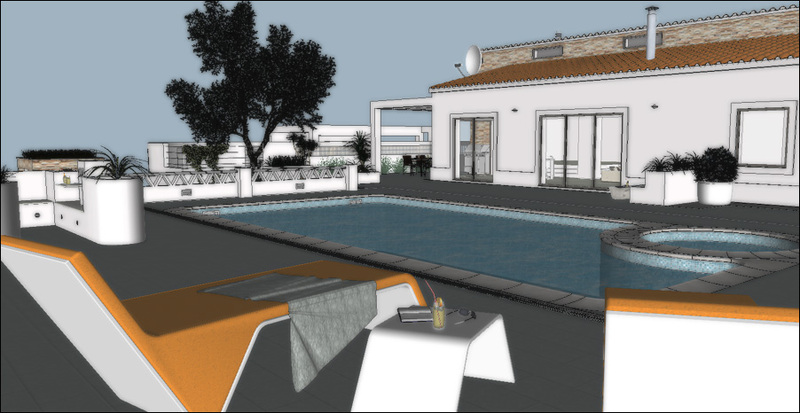 I first became interested in 3D modelling and rendering whilst working on a personal building project* - a modern villa design for a family home in Portugal. After completing the design I wanted to ensure that the builders got every detail right; the only problem being that I was living in the UK and unable to visit the building site regularly. The solution was to create architectural illustrations and visualisations of the building and final fix details. With my background in graphic design I turned to the tools I was familiar with: using Adobe Illustrator and Photoshop to create very basic non-photo-real visualisations and drawings. The creative process was extremely labour intensive and I knew that there must be a better way to achieve the results I wanted. Fortunately I stumbled upon the 3D modelling programme Sketchup. Easy to pick up and joy to use, the software was just what I was looking for. As my modelling skills improved I reached a point where I wanted to achieve more realistic results. I subsequenly set about my first attempts at photo-real rendering, using Podium and Kerkythea to create renders of my architectural models. I was soon bitten by the visualisation bug and since I gained a lot of satisfaction from rendering my 3D models, it was only a matter of time before I started to introduce rendered 3D elements into my graphic design work. Creatively this still wasn't completely satisfying and since I've had a life-long passion for architecture, what I really wanted to do was work more and more on architectural visualisation projects. Driven by my interest in architecture and design I pushed myself to learn more about architectural design, 3D modelling, rendering and architectural visualisation. 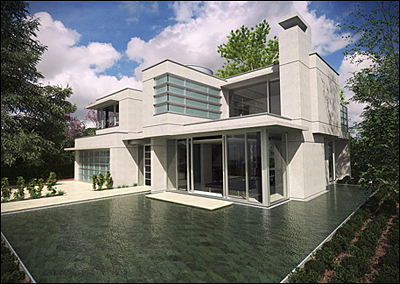 At this juncture I discovered a new render engine that had entered the market and began rendering my Sketchup models using the public beta of the up and coming Thea Render. As with Sketchup the software is a lot of fun to use and it wasn't long before I started to see a vast improvement in the quality of my renders. Eventually I reached a point where I was producing renders that were good enough to be of commercial interest to architectects and designers in need of visualisations for architectural developments and product prototypes. It was obvious that I needed an online presence to promote my new services and I decided to create an offshoot from my main design company and strike out as a 3D visualisation artist. The end result is the David Hier: Render Studio website. 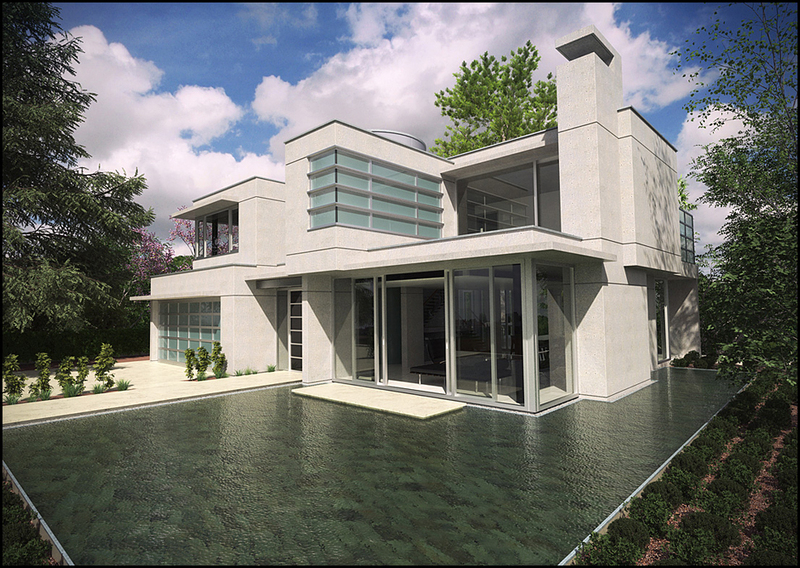 Mastering the art of creating convincing photo-real renders is an ongoing process. I am constantly searching for ways to develop my skills and deliver clients with the highest quality renders and models possible. I am always looking at ways that my work-flow will benefit from using new software and I am eager to learn how to create animations and architectural walkthroughs. I will publish my progress via the Blog and Portfolio sections of this website. I'm also keen on using this website to give back to the incredibly supportive and inspiring modelling and visualisation communities. Consequently I will use this site to share models, materials and textures, as well as tutorials explaining some of the methods used to create my renders. Further information about my 3D modelling and rendering services is available on my home page. To view examples of my visulaisation work, please visit my Portfolio page and take a look at the models featured in my Free Models library. If you have any questions or wish to discuss how my services may be of benefit to your design projects, please do not hesitate in contacting me. You can also follow me via Twitter or my Facebook page. Post: David Hier Render Studio, 155 St. John's Road, Congleton, Cheshire, CW12 2EH, United Kingdom.